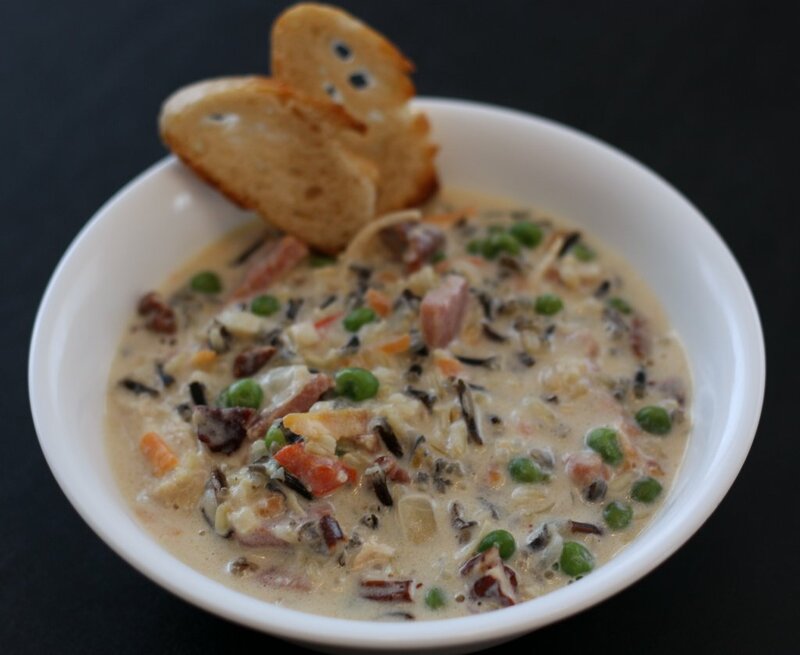 Rice has always been a favorite at the Chaston house. My father lived in Japan for two years and prepared us wonderful rice dishes, instilling in us a love for Japanese cuisine. My step-grandfather was Filipino and I remember him making the best Filipino fried rice for us when I was very young. Admittedly, this recipe is not true Filipino fried rice. Through the years, we’ve adjusted from green onions to regular onions, added more bacon, and settled on a very dense, sticky rice. Please note that instant rice will disintegrate in the hot bacon grease. 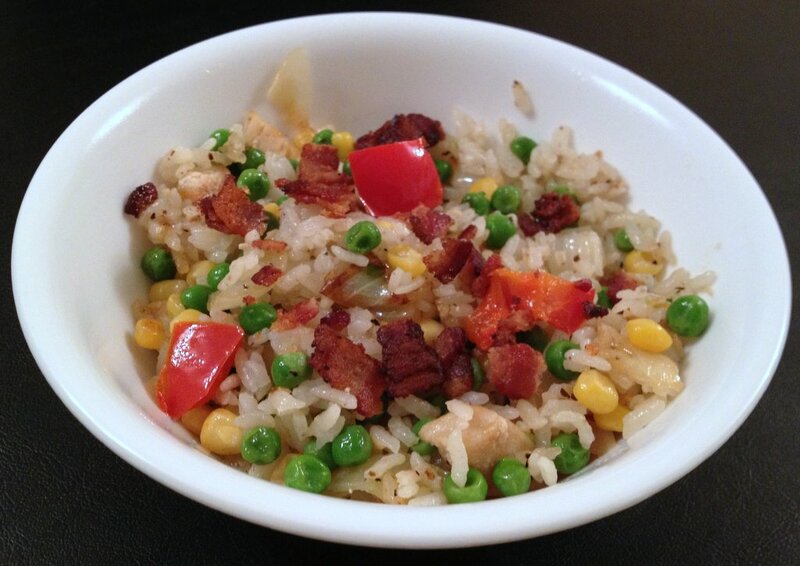 Now if you have a favorite bacon, use it but I think the maple bacon gives this adapted fried rice dish a sweet and flavorful undertone that cuts the through the other savory flavors. Fried rice is Erik’s favorite meal. So since we all have favorite foods and things, take a listen to “My Favorite Things” played by legendary jazz saxophonist John Coltrane. Cook rice in rice cooker according to directions. Rice will be sticky. Remove pan from rice cooker and allow rice to cool. Cut bacon into half-inch pieces. Place bacon pieces loosely in a large frying pan. Cook bacon until it is crispy. Remove bacon from the pan and drain on a plate lined with several layers of paper towels. Pour bacon grease into a heat-tempered container. Return 6 tablespoons bacon to large frying pan. Over medium heat, sauté diced onion. Add cooked chicken breast pieces. Stir. Add rice, breaking up clumps and stirring to coat with bacon grease. Make a large open circle in the center of the pan. Put peas in center of pan allowing them to heat up for a minute then stir into rice. Sprinkle rice mixture with black pepper and salt. Stir.